Ariane Software and Day By Day have joined together to offer to Axial Finance Users professional Technical Analysis directly integrated into the Software. Day By Day permanently follows Stock Markets evolution and carries out every day about 200 analysis. 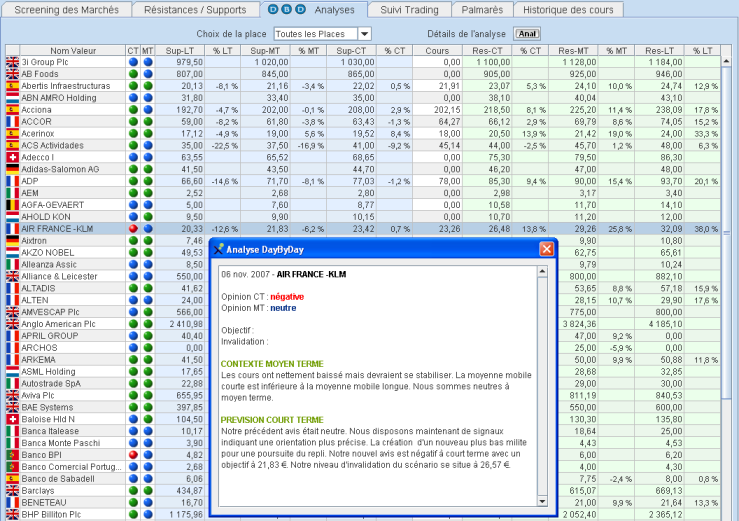 Technical Analysis apply to about 250 Stocks among the major US, French and European Stocks. The Analysis will allow you to take the best decision within a 2 weeks to 2 months time frame. 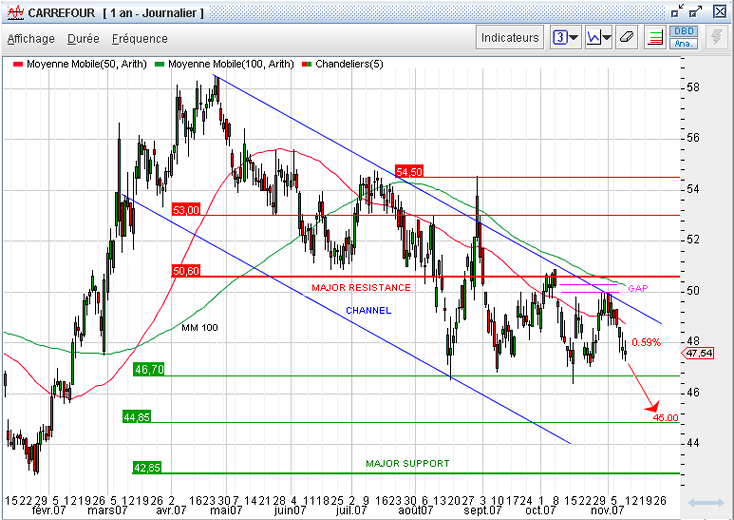 Comments, Recommandations and Graphical Charts will allow you to understand the Market trend. You will be informed of the Market Buy and Sell Signals, of Stocks to buy, to prefer or to avoid. Day By Day Analysis are available under subscription with both versions Axial Finance Premier and Axial Finance Expert. These information are shown the price graph of relevant Stock and a un global table summarizing per Exchange the Resistance and Support levels.